Say hi at info(at)leabecker(dot)com. Biography / filmography in English here, in German here. Lea Becker was born in 1985 in Munich, Germany. In 2009 she graduated with a BA in Graphic Design from Central Saint Martins, College of Art and Design (University of the Arts London). During her studies she spent an exchange semester at the Cooper Union in New York in the Fine Arts program. After graduation she moved back to Munich to set up her own graphic design studio, working in branding, illustration and strategy design. In 2012 Lea began studying documentary filmmaking at the University of Television and Film Munich and has since made many documentaries, fiction films, journalistic works and commercials mainly as a writer and director but also as a cinematographer and producer. In 2015 she received the HFF- Media Arts Scholarship funded by the Kirch Foundation and Regina Hesselberger for her documentary web-series TRUE STORIES of which you can find 100 episodes online. Lea is a scholar of the Heinrich-Böll-Foundation, her films have been invited to numerous international festivals, such as Berlinale Drama Series Days, Film Festival Max Ophüls Preis, Stockholm International Film Festival, Hof International Film Festival and many others. 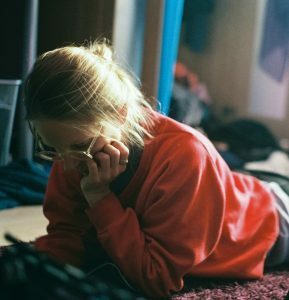 Her film JENNY was nominated for the 2017 German Short Film Award in Gold (Outstanding Short Film – Under 30 Minutes Length). Lea Becker is represented by Monika Conti / agency WRITERS & DIRECTORS. „Two Cities“, experimental film, 5 Min.